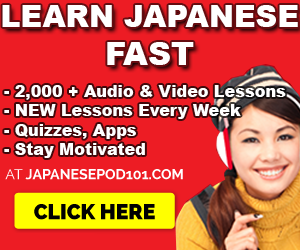 Note: This is my series on Learning Japanese with (insert resource here). Stay tuned for more resources to be covered. I just started with what I already knew. 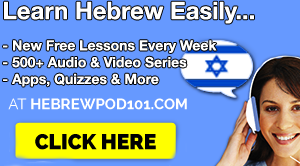 The point of these is to teach you on how to best pull knowledge from these resources. 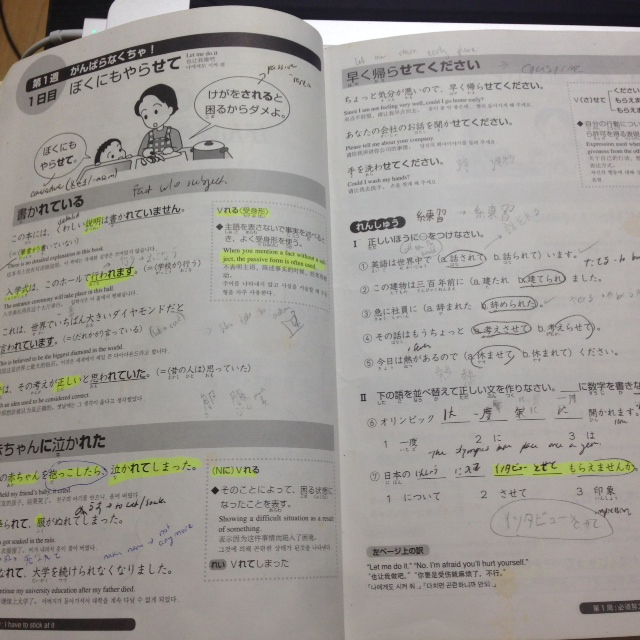 So, what are the benefits of using Japanese work-books? Well… a few. It’s practice & putting in time. Those count. You get some reading practice. It’s basically 6 weeks of N3 level grammar practice loaded into one book. I bought this book a while ago, so I may as well plow through it. Task: Do Day 1 of the first week. Tools Used: Pen, Notebook, Workbook and of course, jisho.org for looking up words and kanji. Experience? I had to look up quite a bit of words and kanji on jisho.org. For example, had no clue about words like 抱く (to hold), 主語 (subject), 受身形 (passive), 行動 (behavior) and a bunch more. That means some extra Japanese vocab under my belt. Showing a difficult situation with the passive. Asking for permission with causative. Please let me go/leave early. Note down all words, grammar, sentences of interest in my notebook. Move on to the next grammar points. Repeat the note taking for anything. Honestly, I think the only magic here is in reviewing this material over a period of time. Practice is practice and I got through Day 1 in 15 minutes. Possibly because I’m kinda experienced with passive and causative grammar. It’s the darn kanji and words that I had to look up. This definitely feels like something to do as supplemental practice, to plow and hustle through. Because you know, books are books, and they’re not always fun. It’s the nature of the medium. And of course, everything I didn’t know, I wrote down. This includes grammar, kanji and words. This is something I’ll have to keep coming back to, as you know, picking up new words from a book won’t last very long unless you use them. If you’re using any book, make sure to note down what you don’t know and review it often. Seeing it one time won’t help. Not really. The grammar explanations are done in 1 sentence so it feels like it’s a bit lacking. I’ll see what the rest of the days have in store for me. It feels like work. The kind where you have to turn your mind off and plow through. The good thing? The first day didn’t take much time. Workbooks are workbooks. They lack flavor, fun and excitement. Oh, and they don’t improve your speaking and listening. In fact, I actually feel a bit sleepy. However, practice is practice. I don’t recommend using a book as a sole resource but it’ll provide some value regardless – new words new kanji, new grammar, some reading practice. You should be willing to muscle through them pages first, though, if you’re going the book route. Honestly, I think the magic here is in reviewing this material over a period of time. All those new words and stuff I came across, I wont remember in 4 hours. So, review, review, review. 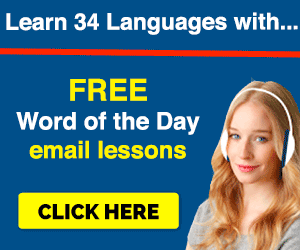 Oh, and leave a comment down below with your thoughts on this or other Japanese workbooks. And I do think there has to be a better way. Perhaps coupling books up with a Japanese tutor might be the answer because you can instantly use what you’ve learned in conversation. And that’s what matters most, anyway. 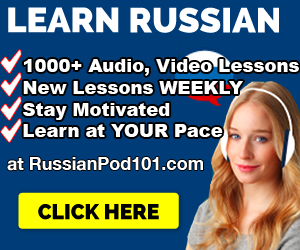 Previous Previous post: Top 30 Russian Conversational Phrases, Questions, Answers You Need To Know. Part 3. 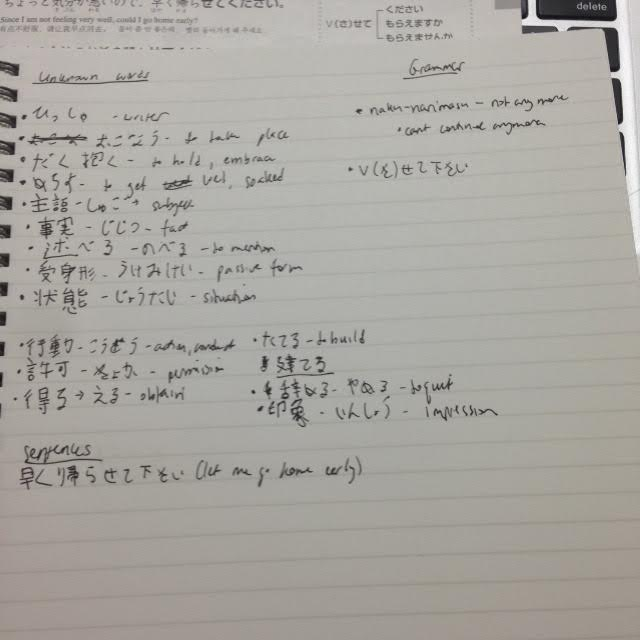 Next Next post: The Big Fat Master List of Japanese Particles. Part 1.